I won't deny it, I'm antsy for Christmas decorating, but I still want to honor "Thanksgiving". So I'm trying to do a little of both. I like to bring in my two smaller lighted Christmas trees and get them set up for a quick turnaround after Thanksgiving. I have a few "nature themed" ornaments that I used to decorate a tree downstairs, but they have migrated to the Dining Room this year and I've put together a little Autumn Nature tree. I'm going woodsy and natural this year. There will be some glitter thrown in, but I'm craving a more simple theme this year, with hopefully, less stress. 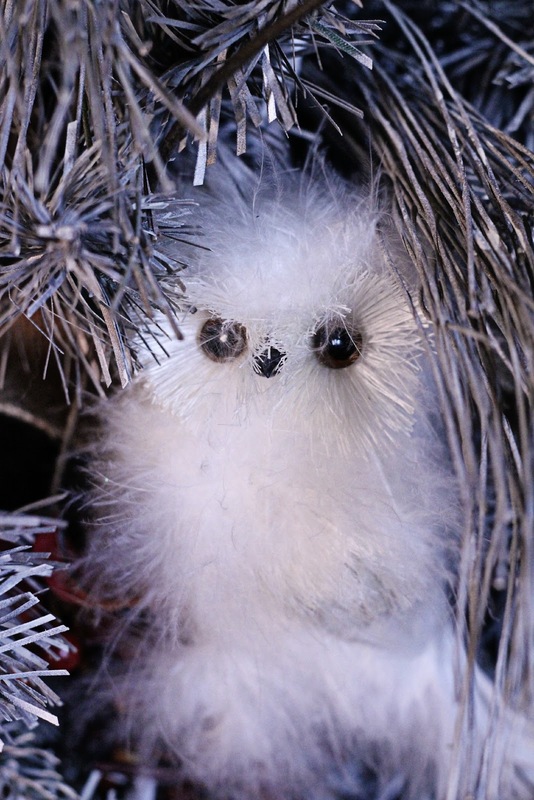 I found these adorable white floofy "baby" snow owls at one of the shops in Ozark this week, and they are perfect for this tree. 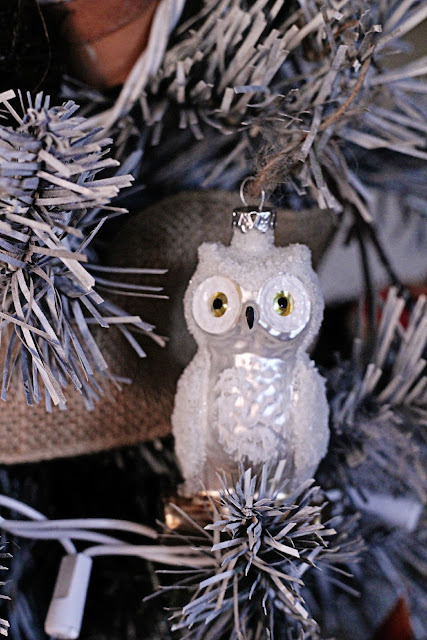 These little glass owl ornaments were picked up at The White Rabbit in St. Louis last month. I had a feeling my owl obsession would carry over into Christmas. Right now I have some faux bittersweet vine in here along with the burlap ribbon, but I think I can change it out for Holly and some red berried vine after Thanksgiving. that I'm going to fill with moss and potpourri. 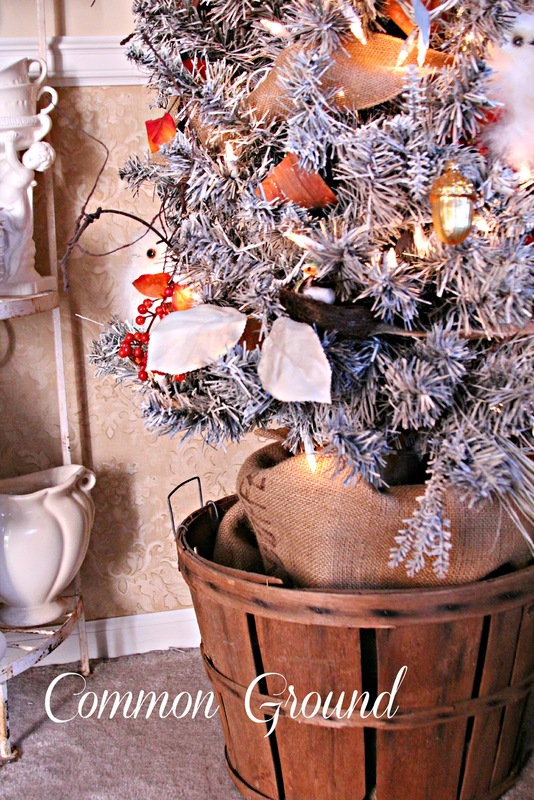 I'm using an old fruit basket and a burlap coffee sack. 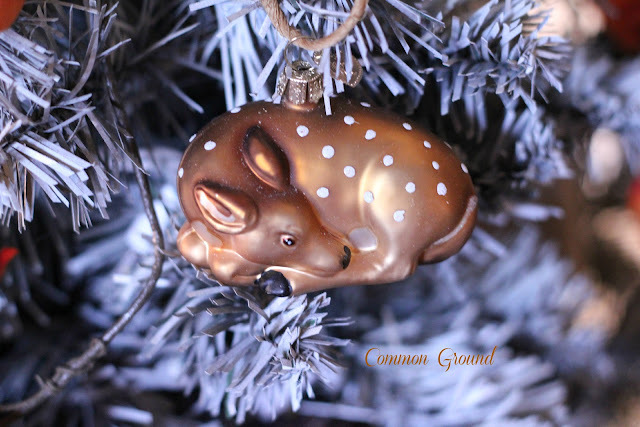 Do you have a "theme" for your Christmas decorating each year? My favorite has always been "nature". 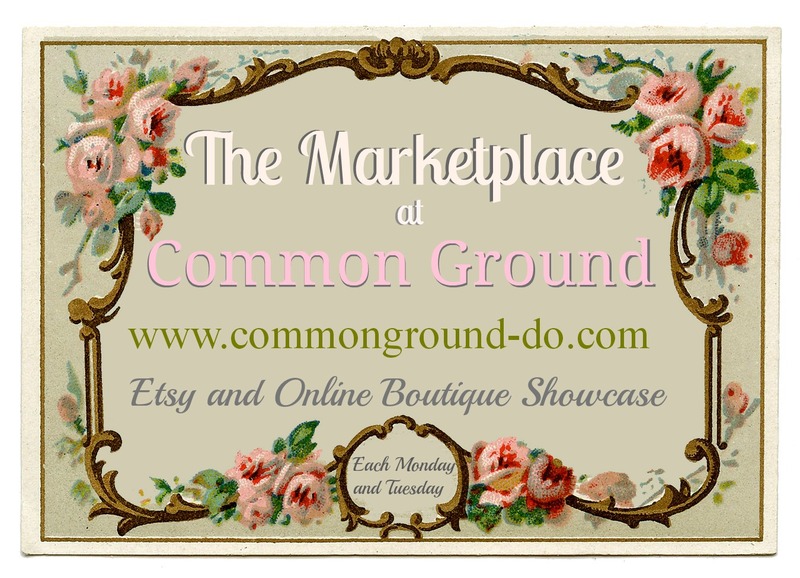 for all of you that have Etsy Shops and Online Boutiques. and then the shop is open all week. or just come to shop. 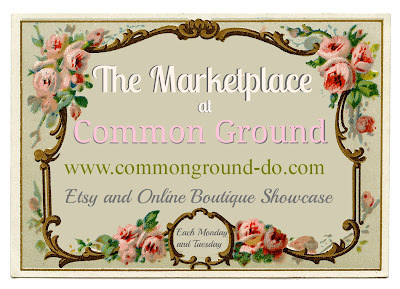 for your Christmas Shopping List! So nice to have an extra hour today, and some sunshine. I have some garden clean up to do so this will help. 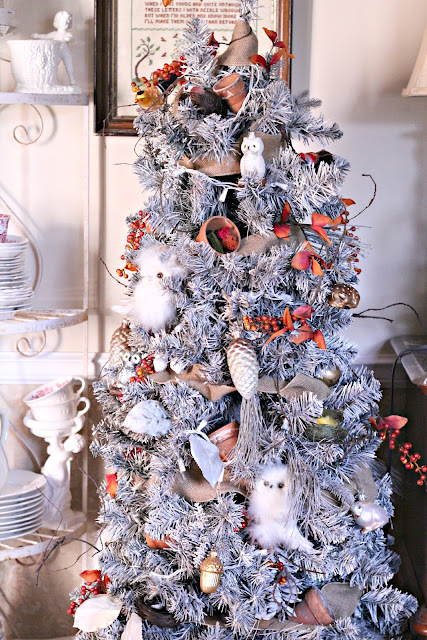 Debra - What a beautiful tree and so nice to be able to use it for November and then just add a couple of things and it'll be ready for Christmas. Good idea!! Love those furry, little snow owls. Debra, your nature tree is going to easily go right on into Christmas. You are way ahead of the game! 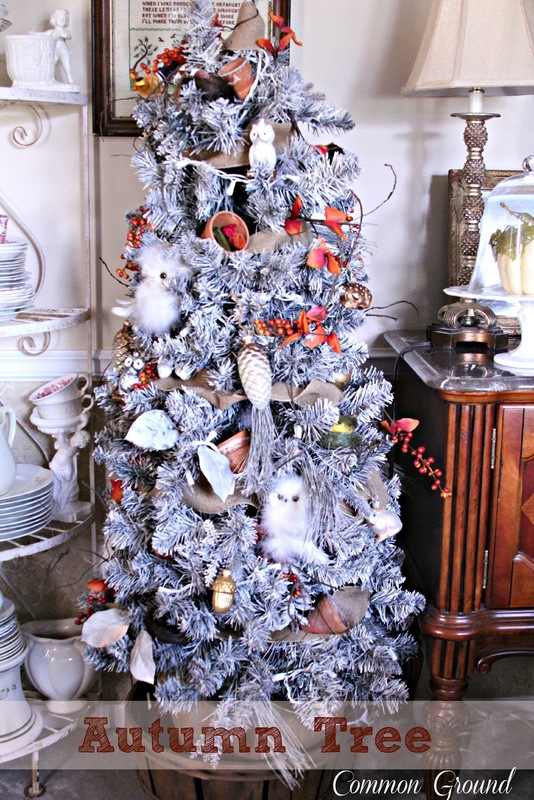 What a great idea to have a fall/Thanksgiving tree! I don't put up a large, traditional Christmas tree anymore (my son passed away 3 years ago and we haven't felt like putting up one since then), but I do put up a few holiday decorations. Oh! 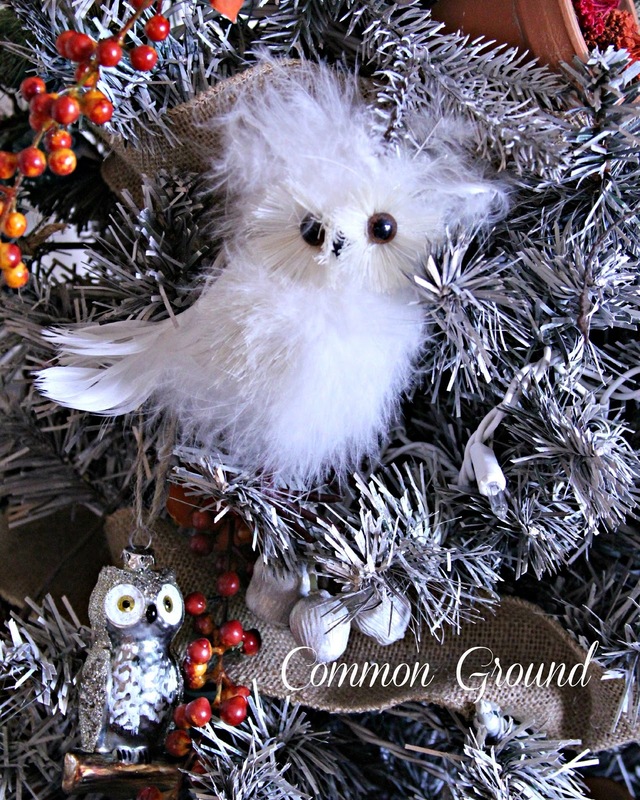 Those white snowy (fluffy) owls are adorable!! !Nature inspired is charming and should make the transition into Christmas...easy peasy, indeed, dear friend! I agree...we need more than 30 day to prepare for Christmas!!! With each birthday, I'm thinking...maybe I should just get started in January when everyone else is putting theirs away! Ha! Have a blessed week! Love your nature tree, Debra! I have two little trees that get packed up/taken out already decorated each year for the two years I've had them. One will be staying the same. It is the one where I put all my kids ornaments from when they were little. The second one, I am feeling I want to change up this year. Since we moved, I put this one in our master bedroom. Not sure what way I want to go with that one yet, but I figure I'll look at some ornaments in the stores and see what grabs me. I do know I want to keep it soft and may go more toward the nature theme. Debra I love your nature tree! So pretty to leave out for the winter! 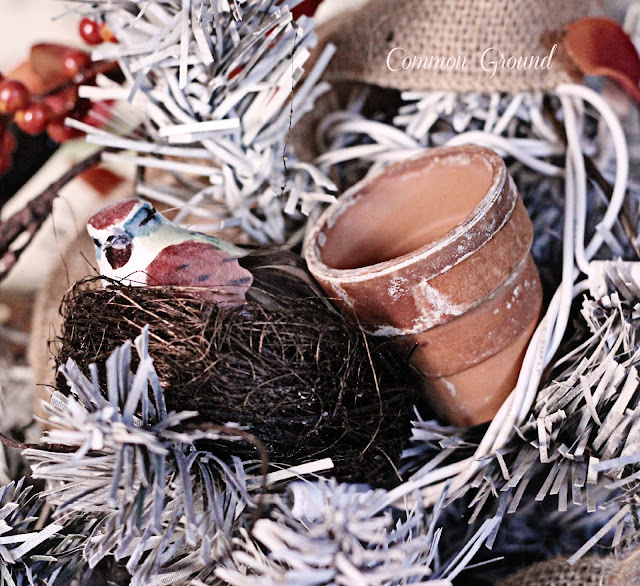 I am doing a very simple Christmas theme this year.Yes natural using real greenery around my home.Lots of pinecones too! Your tree is wonderful for now and just perfect for Christmas too! I really agree with you about only having a month to decorate and get ready for Christmas!!! Looks like you have gotten around that problem with this darling tree! So pretty and such a great idea. I love all the little animals and the tiny clay pots. As a Canadian our Thanksgiving was in early October so now that Halloween is over Christmas is fair game ; ) Of course I don't start quite yet but it isn't weird to start seeing outdoor lights and greenery going up. 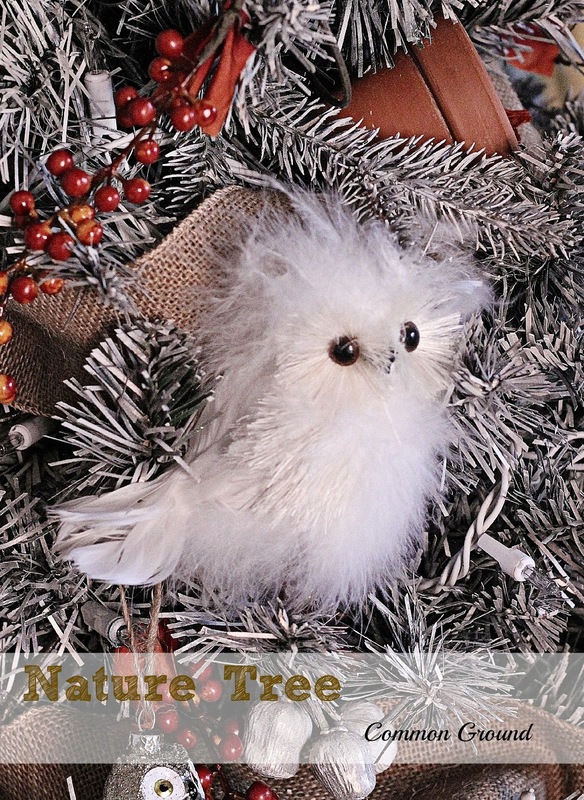 Debra, love the cute nature themed ornaments. The owls are all so fun and the sleeping deer is charming. The bushel basket was a great idea for housing the trees. I too am antsy for Christmas. I do try to wait until Thanksgiving is over. The weekend after is dedicated to crazy decorating. Once I did just a little before Thanksgiving and my kids would not let me hear the end of it. Decided it was easier to wait. lol! I am doing a vintage mercury glass theme in the living room, sonwmen in the bedroom, and my kitchen and family room will have a candy theme. I am switching things up a little this year also. I usually do woodsy out on the porch. Thinking of doing it in the entry for a change. Love the tree:) I try real hard to give Thanksgiving it's time before moving on to Christmas! The problem is that time goes by SO fast these days... I do start doing my shopping early:) Have a blessed day dear friend, HUGS! Such a charming tree...luv all the owls and that darling little deer. Also, the apple basket and coffee sack are just perfect! Thanks for sharing at my party. Very nice! I love a woodland tree! 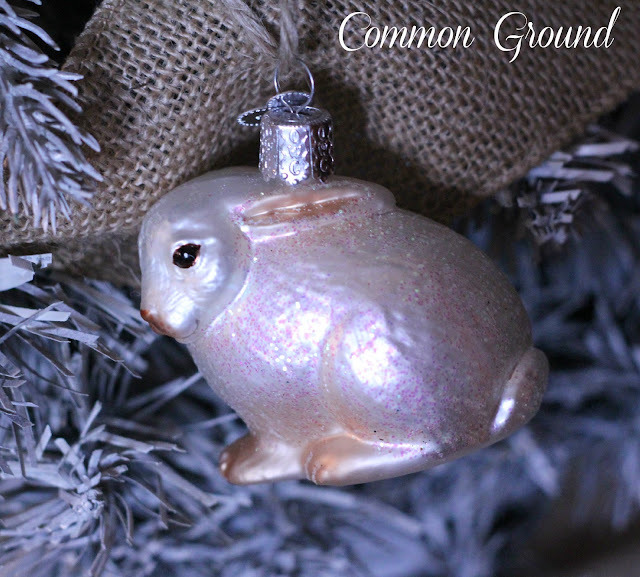 I started one last year and have found more ornaments to add to it this year. I don't like to decorate for Christmas to early because it looses it's charm if it's up too long. I keep mine up thru the first of January and then it's put away! Love your white owl!! I love that tree!! Especially those cute fluffy owls. Now where again was this store and do they ship international??? What a pretty tree! We, sadly, are lacking a theme. This is so pretty, Debra! I agree...I like everything down the beginning of January, so in order to enjoy it I am putting my decorations up early! Such a lovely tree. I am getting anxious too and also like you, I plan not to get toooo carried away this year. I Love nature trees to and yours are stunning. Love those sweet little owls. That is B R A N S O N.......Spell check switched it on me:-) The store is in front of Walmart Supercenter.